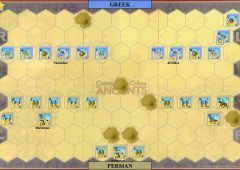 The Ionian Revolt had loosened Darius's hold on his European possessions of the Hellespont, Thrace and Macedonia. 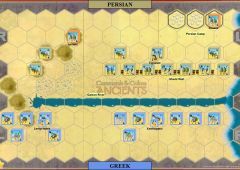 So in the spring of 492 BC he dispatched his son-in-law, Mardonius, to re-establish Persian authority. 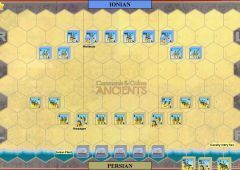 Mardonius crossed into Europe with an army supported by a large fleet operating along the coast. 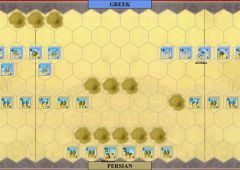 Mardonius was generally successful in subjugating Macedonia and all the Thracian tribes, except the Satrae. 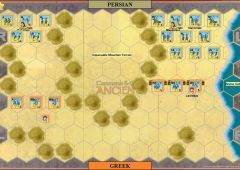 During the campaign the Persians were attacked at night in their camp by the Thracian Brygi tribe, and in the battle Mardonius was wounded. 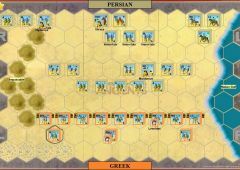 Herodotus has presented this as a Persian defeat, but as Mardonius went on to conquerer the Brygi, it can only have been a minor reverse and the wound not too serious to prevent Mardonius campaigning. 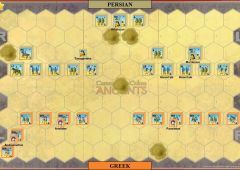 A much worse setback befell Mardonius when his fleet was mostly destroyed in a storm off Mount Athos. 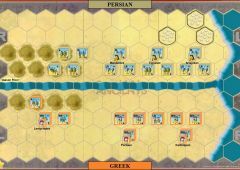 Mardonius returned to Asia having paved the way for future Persian land campaigns into the heartland of Greece. 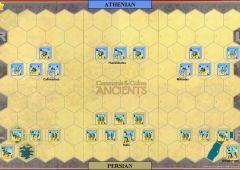 The Camp hex has no effect on movement, Line of sight or combat. 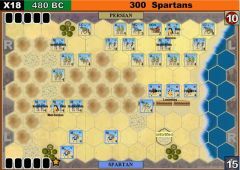 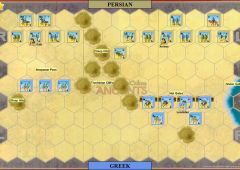 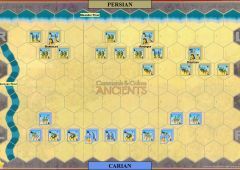 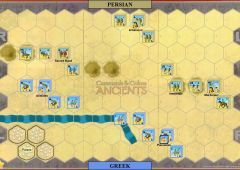 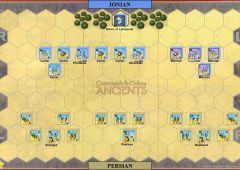 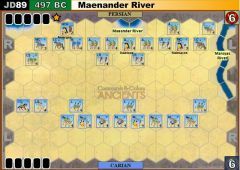 If a Thracian unit ends its turn on the camp hex remove the Camp tile and award the Thracian player 1 victory banner. 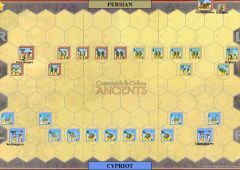 The battle is considered to take place at night. 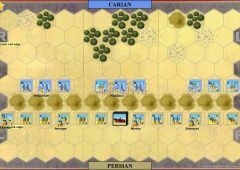 Missile fire is restricted to a 2 hex range and a rally order only affects units stacked with a leader. 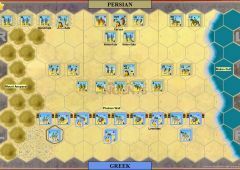 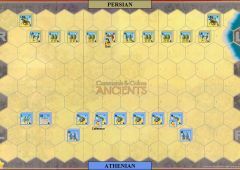 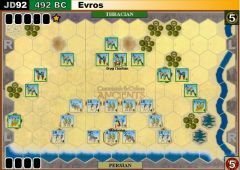 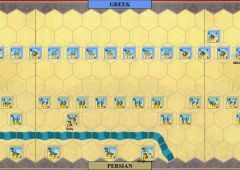 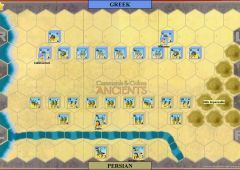 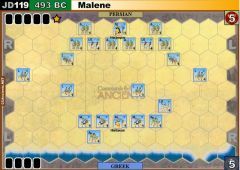 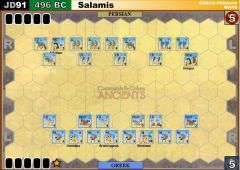 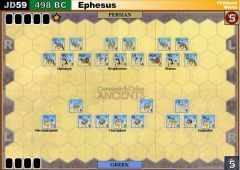 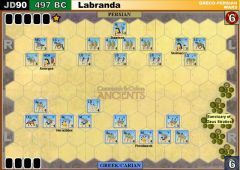 Thracian Auxillia units may not use missile fire.